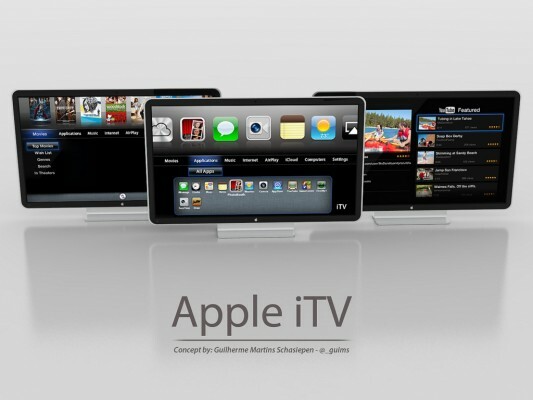 With all of the Apple Television rumors, it was only a matter of time before someone would start designing some concept images of what an integrated Apple Television, now being dubbed the iTV, might look like. Artist Guilherme M. Schasiepen has designed what he envisions the iTV to look like, and it actually looks pretty sleek in his concept images. 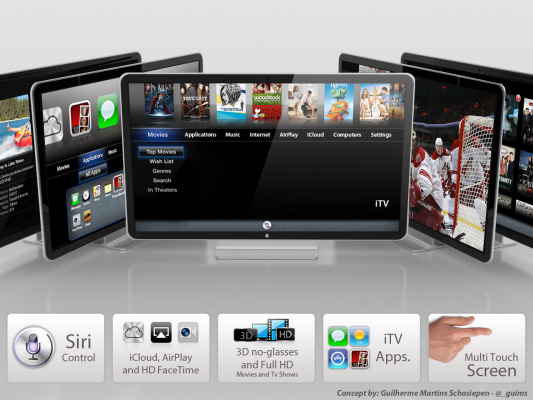 If the iTV is real, it will sport an iOS feel with multitouch capabilities, Siri support, and possibly 1TB of built in storage. In addition to these features, the Apple TV set is also said to have some sort of iCloud integration, FaceTime integration, and a possibility of glasses-less 3D. 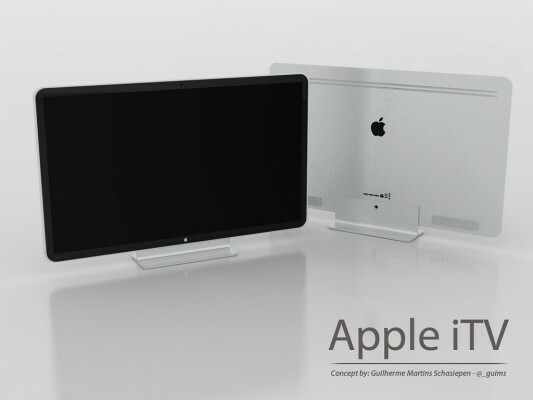 If this Apple iTV actually becomes a reality it will be available in 32″, 42″, and 50″ models. Just knowing that almost all concepts of Apple products are way off, this will most likely not be real on any terms. Although, it does seem reasonable and the images look promising, you have to remember, this is just another rumor. Do you think the iTV could look like this?